With the trio pictured above, we hope for three player support. That way Ron and Harry can fight over Hermine in familiar Double Dragon co-op fashion. 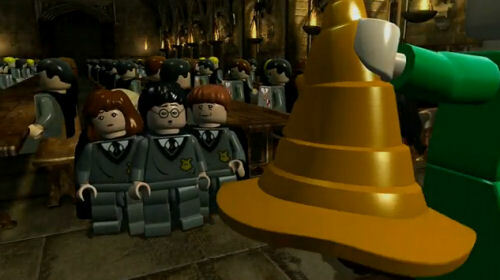 The trailer for the game focuses on Year 1 of Harry Potter. And while Ron's trumpet playing might not be the best thing to listen to, watching the trailer will give you the password to unlock access to a the VIP section of the official site.